It seems that 2016 is the year of comebacks. Whether it’s our fave TV shows or ’90s bands like the Spice Girls or the Backstreet Boys, everyone wants a piece of the action. Of course, we’re loving this revival, as is, it seems, James Corden. The host of The Late Late Show, gave a monologue in which he said that he wished that boybands would make a proper comeback. Continuing, the TV funnyman said that he realized that boybands haven’t really gone away, but that the modern version of boys in skinny jeans not dancing and playing instruments didn’t quite cut it. Of course, this got a rapturous cheer from the crowd, and quite rightly so. It’s been AGES since we’ve had a good old fashioned boyband that dances around to mega-pop hits. James Corden was speaking rather literally, however. Rather than ending the monologue, the TV host decided that right there and then was the time to start the boyband revolution. Casually sitting back in his chair, Corden then announced that the actual BACKSTREET BOYS were there. Complete with ’90s dance moves, the band were then joined by James Corden, who jumped in for the full routine and OMG we can’t handle the nostalgia. 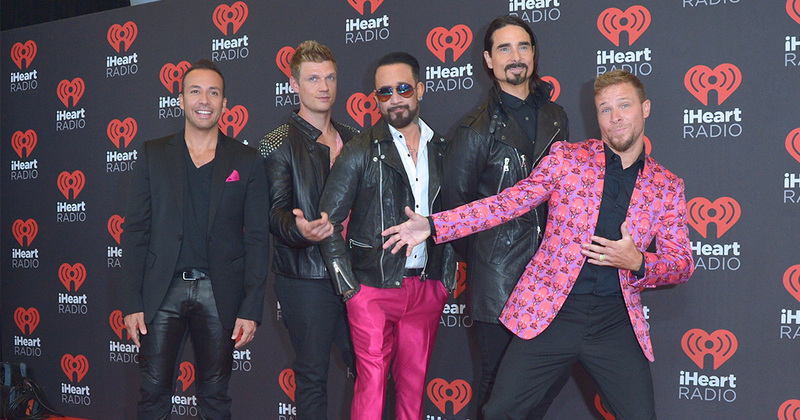 The Backstreet Boys recently confirmed that they’re returning to the stage for a Las Vegas residency at Planet Hollywood, the home of fellow ’90s pop siren Britney Spears. The show, titled “Larger Than Life,” kicks off in March 2017 and runs until July. Tickets are available now.